Forget Tom Hardy! there’s a new VENOM in town, HA. 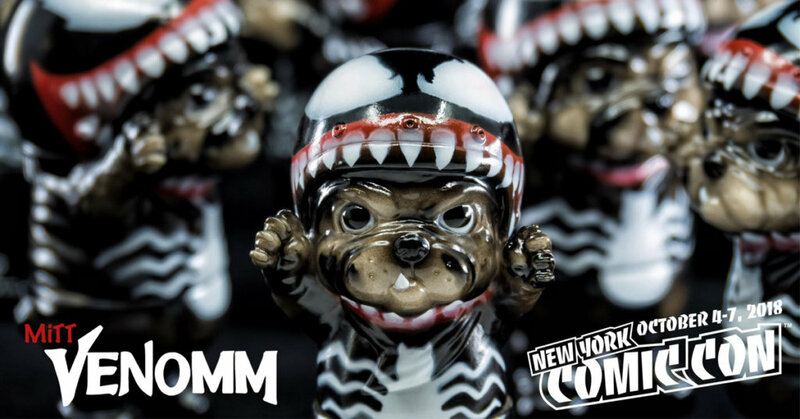 Thailands 6 28 Six TwentyEight joins up with the fine folks at Myplasticheart booth 888 once again to bring you an exclusive MITT Bumper car sofubi figures for New York Comic Con. Not as sinister as Tom right? Looks like the little MITT’s will be already for the Cosplay love at New York Comic Con 2018. We’ve heard Myplasticheart only has a limited amount so we would recommend you get your Usain Bolt legs prepared. 4-7 Oct at myplasticheart’s booth 888 at the Javits Center in NYC http://www.newyorkcomiccon.com. Look out for online sales details for collectors who cannot make it to NYCC 2018.